Abe Springer has been a faculty member in the Department of Geology since August 1994. He received his Ph.D. in Hydrogeology from The Ohio State University in 1994. Abe teaches classes in HYDROGEOLOGY, GROUND WATER-FLOW MODELING, Contaminant Hydrogeology, Introductory Geology, and Environmental Geology. 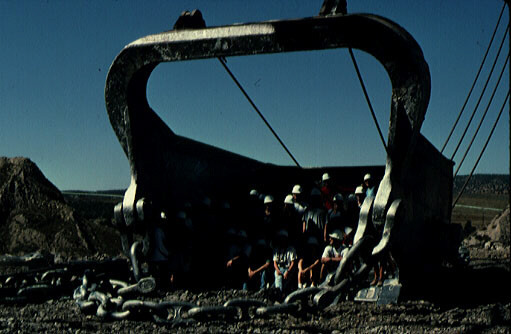 See the photo of the Hydrogeology class at PEABODY COAL MINE in Fall 1997 and overlooking TSEGI CANYON in Fall 1998. 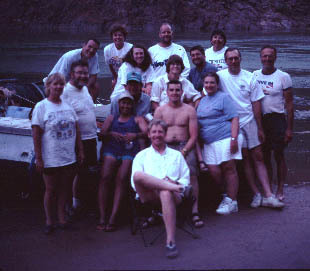 See a photo of the 1999 Environmental Experiences River Trip or 1998 RIVER TRIP participants. Bill Petroutson (M.S. 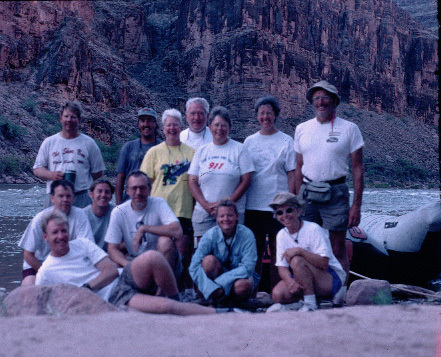 '97) completed his thesis field work on the Colorado River. 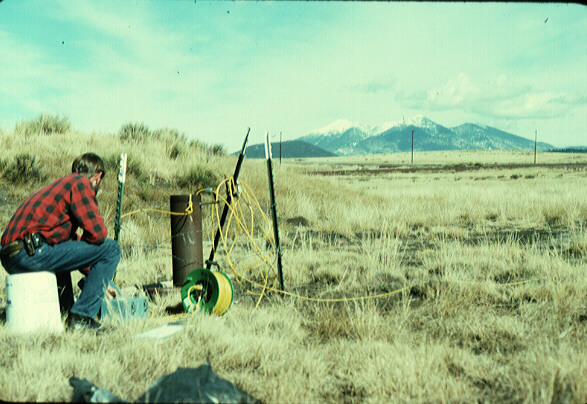 He conducted pneumatic slug tests at over 60 wells on 4 separate beaches to determine the spatial distribution of hydraulic conductivity in the reattachment bars. Additionally, Bill has conducted slug tests on wells during changing river changes to determine how hydraulic conductivity varies with time in the reattachment bars. His thesis is entitled "Interpretive simulations of advective flowpaths across a reattachment bar during different Colorado River flow regimes". We have published an article in Ground Water (v. 37, pp. 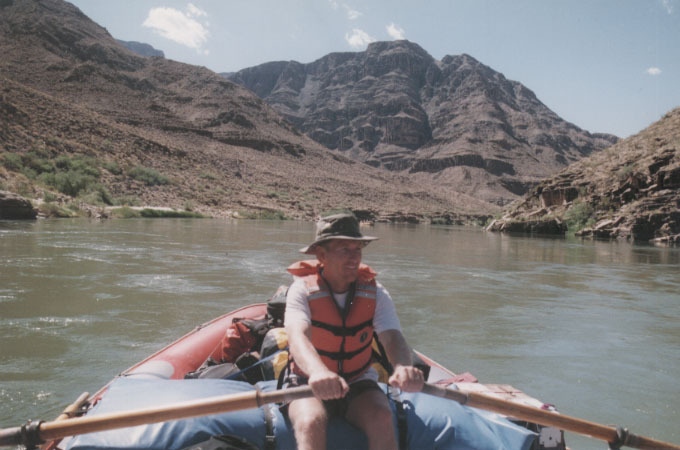 338-344) related to Bill's thesis work entitled "Spatial and temporal variability of hydraulic conductivity in active reattachment bars of the Colorado River, Grand Canyon". Bill has graduated from NAU and is working for Dames & Moore. Betsy Semmens (M.S. '99) thesis built on the concepts that Bill developed. She coupled a ground-water flow model with a geochemical transport model to simulate how nutrients are transported through reattachment bars on the Colorado River. We focused on how a specific reattachment bar has responded to the beach-habitat, test, experimental flood of 1996. Betsy now works for Hydrosystems, Inc. in Tucson. Jagucki, M.L., C.D. Finton, A.E. Springer, and E.S. 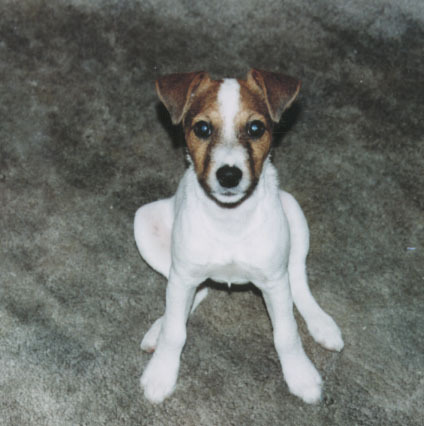 Bair, 1995. 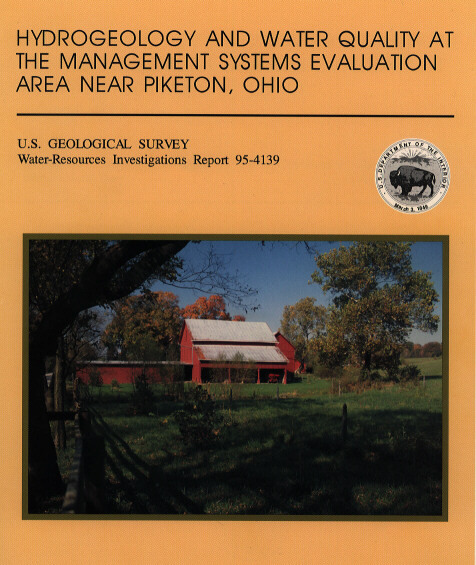 Hydrogeology and water quality at the Management Systems Evaluation Area near Piketon, Ohio, U.S. Geological Survey Water Resources Investigation Report 95-4139, 117 p.
My third publication related to this research is entitled "Natural-gradient tracer test using bromide, atrazine, and alachlor in a high-organic carbon aquifer". It is in the September-October 1998 issue of the Journal of Environmental Quality, v. 27, no. 5. p. 1200-1208. Myself and Laura DeWald in the Department of Forestry have received four grants from the Arizona Water Protection Fund to work with the Arizona Chapter of The Nature Conservancy and the US Forest Service to restore the hydrological conditions of a Bebb willow-mixed gramminoid community at Hart Prairie, Arizona, that has been greatly disturbed by human activity. As part of our research, Andy Gavin has installed a FLUME. 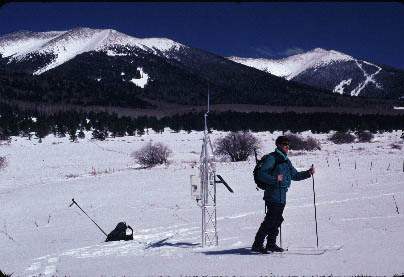 TIM GODWIN has been measuring soil moisture with a TIME DOMAIN REFLECTOMETRY instrument and monitoring snow depth at our WEATHER TOWER. Click on this icon to play a real audio/video introduction to Hart Prairie. 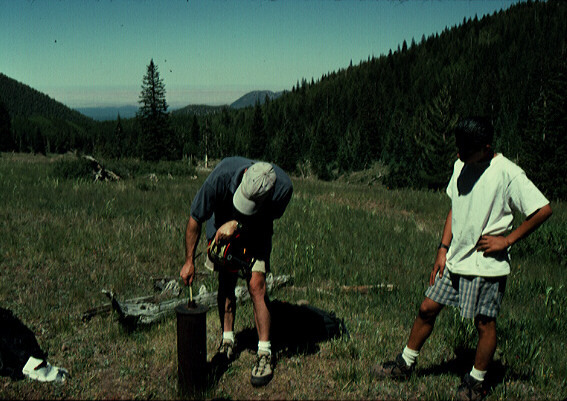 Andy Gavin's (MS '98) thesis focused on simulating with numerical models types of hydrological conditions favorable for establishment of willow seedlings in Hart Prairie. His thesis is entitled "Hydrogeology and numerical simulation of a spring-dominated high-elevation riparian community, Hart Prairie, Arizona." Andy now works for the Susquehana River Basin Commission in Harrisburg, PA. Tim now works for HSI-GeoTrans in Sacramento, CA. Laura and I have finished another Arizona Water Protection Fund grant to restore the riparian ecosystem at an area called Hoxworth Springs. 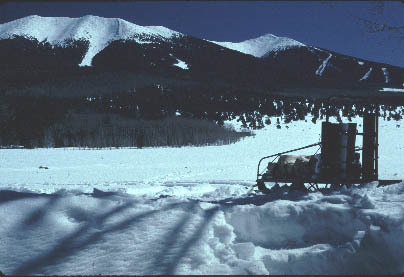 It is a perennial spring southeast of Flagstaff that has been altered by human activity. 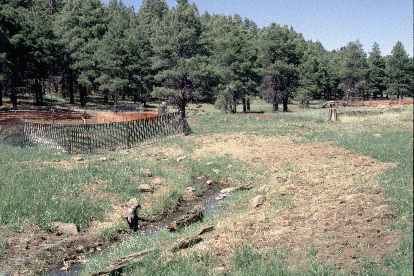 We are working with the Coconino National Forest to restore this site. Part of this restoration includes managing grazing activities. To manage the grazing of elk, 8 FOOT TALL FENCE is needed. In November 1998, we restored the channel morphology of a 600 foot reach NEW !!! of the spring supported stream. We are now researching different methods to revegetation the restored area. Julie Wright (MS '97) finished her thesis on research related to creating riparian habitat. We worked with Julie Stromberg and Pat Shafroth of Arizona State University on this project. Julie is currently working for Brown and Caldwell in Phoenix. Her thesis work is in Water Resources Research v. 35 no. 12 pp. 3621-3630 NEW!!! in an article entitled "Coupling Groundwater and Riparian Vegetation Models to Assess Effects of Reservoir Releases:. With my student RANDY WILKINSON, I am studying the hydrogeology of perched volcanic aquifers on the Colorado Plateau. Randy is currently a hydrogeologist employed with Camp Trowder Training Site in Missouri. We are trying to determine methods for quantifying vertical leakage through perched volcanic aquifers. 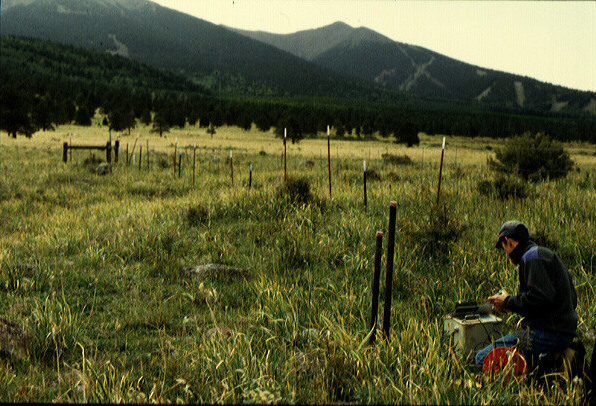 Randy has focused his studies on a perched aquifer at Camp Navajo, Bellemont, Arizona. DAN HIGGINS (MS '98) built a groundwater flow model for the perched aquifer in the Inner Basin of the San Francisco Mountains to estimate how much water leaks out of this perched aquifer. His thesis is entitled "Leakage simulations from a perched mountain aquifer in the Inner Basin, San Francisco Mountain, Arizona." ERIC WILSON and I are examining the sources and rates of water supplying springs and seeps of the Grand Canyon. Eric is currently an intern with Los Alamos National Lab while he continues work on his thesis. We just completed a Colorado River trip to accurately locate springs in the Grand Canyon and to accurately measure their discharge. Eric is now building a 3-D framework model for the regional aquifer. As part of a Department of Energy project, I have been turning my Hydrogeology course and Advanced Hydrogeology course into web sites. Check out the web site that Andy Gavin has been assembling for Geology 451. This is also known as ENV302 for the DOE TQP program. Also, check out the web site for Geology 670, Ground Water Flow Modeling. The course is also known as ENV303 for the DOE TQP program.